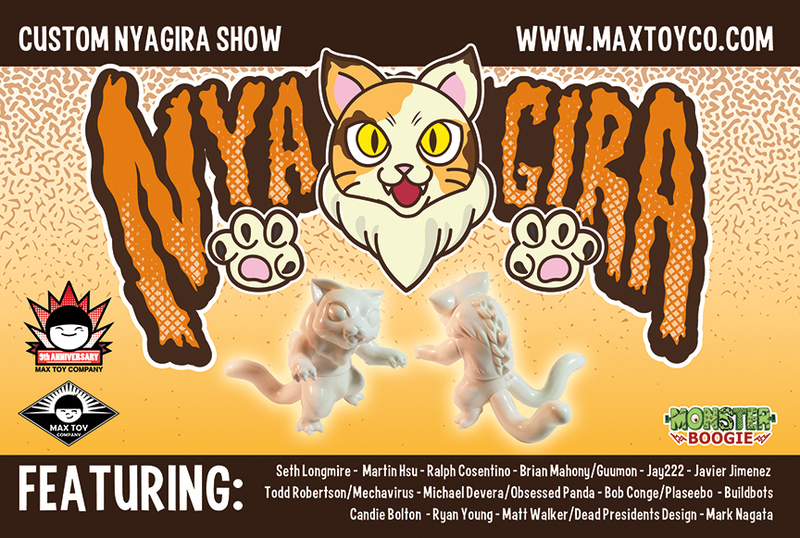 The Max Toy Co Nyagira show is live! Over a dozen artists put their spin on Mark Nagata and Makino-San's new creation! I called in help from my Mom Laura, to make my pieces really unique, and she was more than happy to contribute her expert sewing and jewelry skills! Huge thanks to Mark and Makino-san for letting us play with their toys!!! The paint did not want to come off these two, which says good things for their durability. The shiny blue on Batman was clear paint over silver, which I was kinda surprised to see, it's the same thing I do, and takes time (but looks shinier), than just doing metallic paint. Cool beans! I did Optimus in an 'energon' purple and gold scheme. 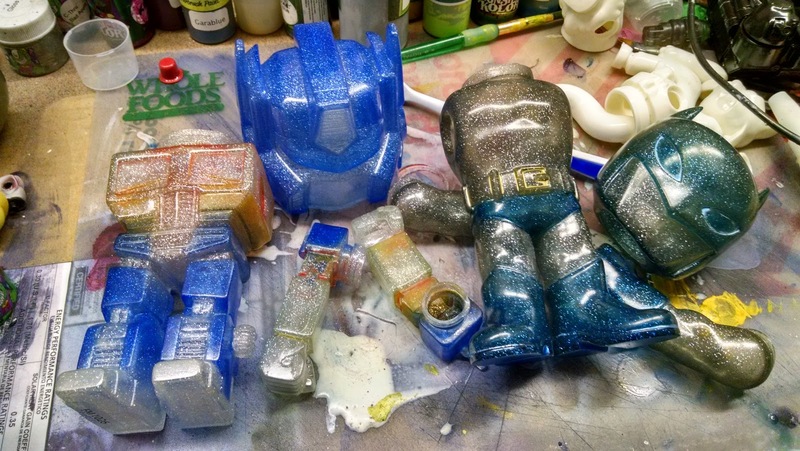 Honestly surprised Funko didn't do a purple Optimus already, seems like it would be a perfect color in clear vinyl. Batman I was going to do in a candy-stripe scheme, but it looked to busy, so I settled with "Rescue Batman" here. I'm happy with both overall, though Batman's off-center symbol is going to bother me forever. Painted with Monster Kolor , of course! Lots of C-Thru and pearls on these two. This guy has been in the works for a while. The Delpheyden design head premiered four years ago as a big collaboration. 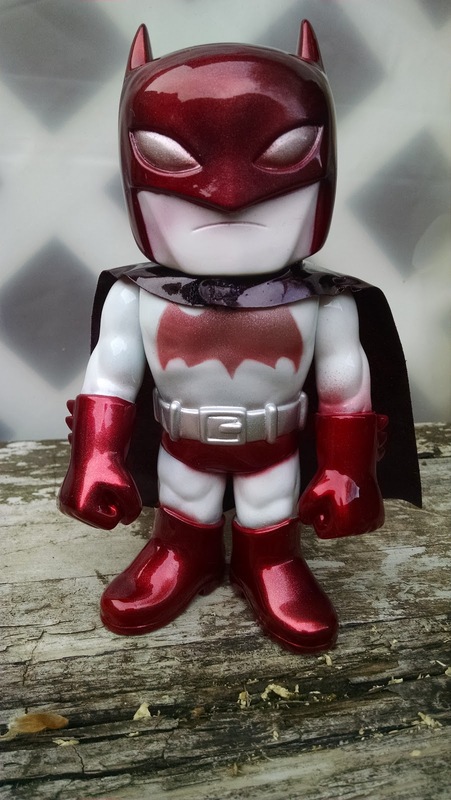 Designed by Glyos' Matt Doughty, Plastic Geek, and cast by Marty Hanson. This example is in swirls of opaque and translucent blues, and is an incredible display of Mr. Hanson's mastery of all things resin. Four years later, I finally did a body and paintjob that get close to doing it justice. Painted (as always), with Monster Kolor metallics, pearl, and gloss coat. I didn't intend for him to look like a bomb-pop, but I'll roll with it, hope you all like it. He's still a little hydrocephalic, I had trouble building a body big enough to support that noggin. Mostly black parts for the base, his pulse-arms glow in the dark. 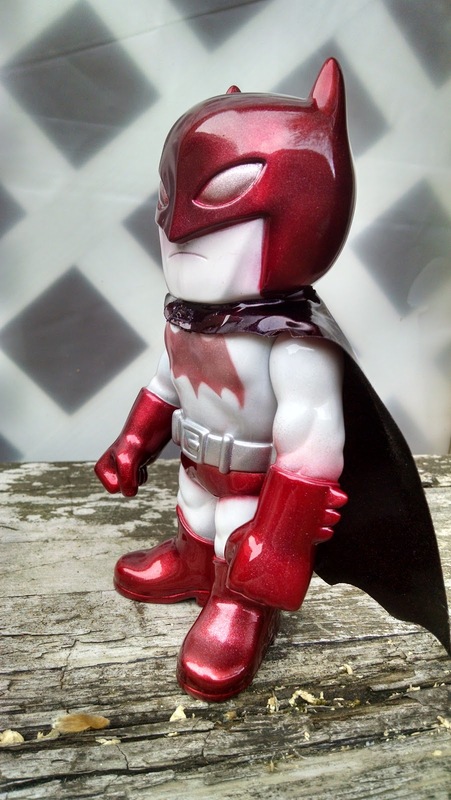 Fully articulated, he's available in my Store for just $25 shipped in the US!